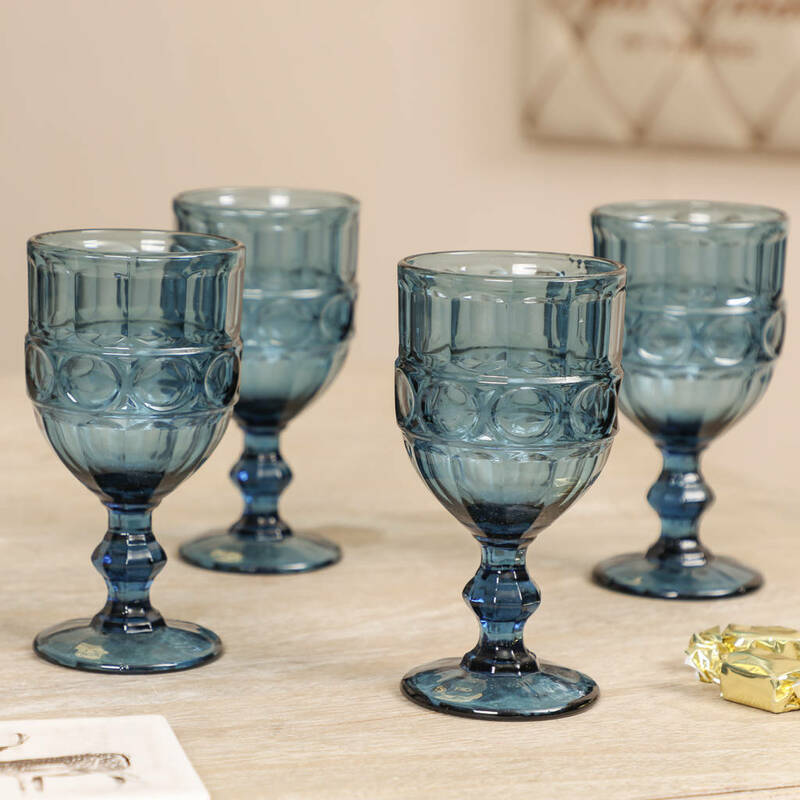 A set of jewel bright wine glasses with a stunning blue tint, that will make an eye catching feature for any dining table. 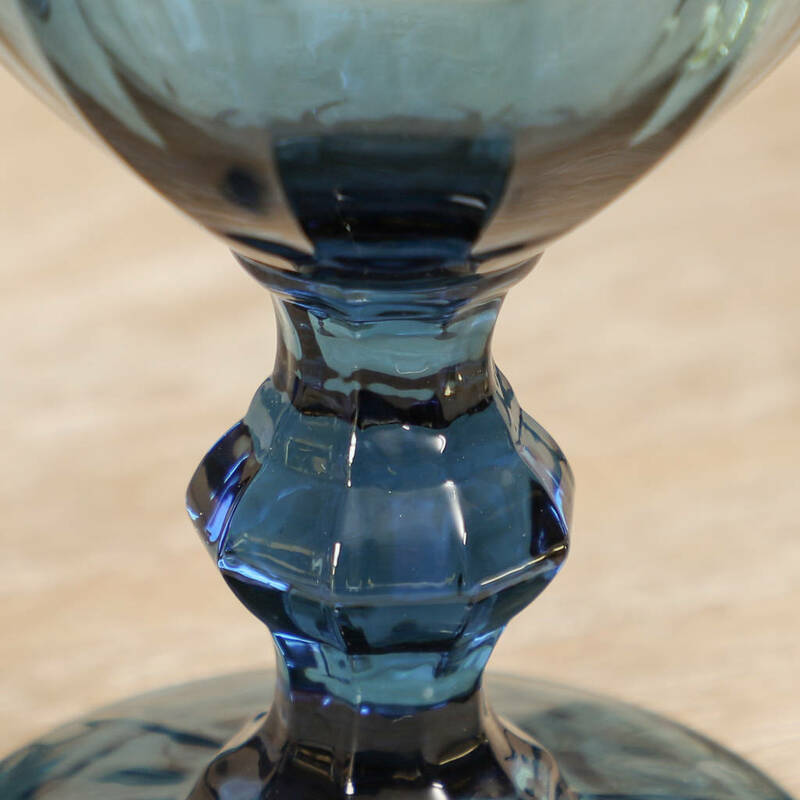 Each goblet is made from high quality glass that's carefully cut with a bevelled pattern, and a band of rings around the middle. 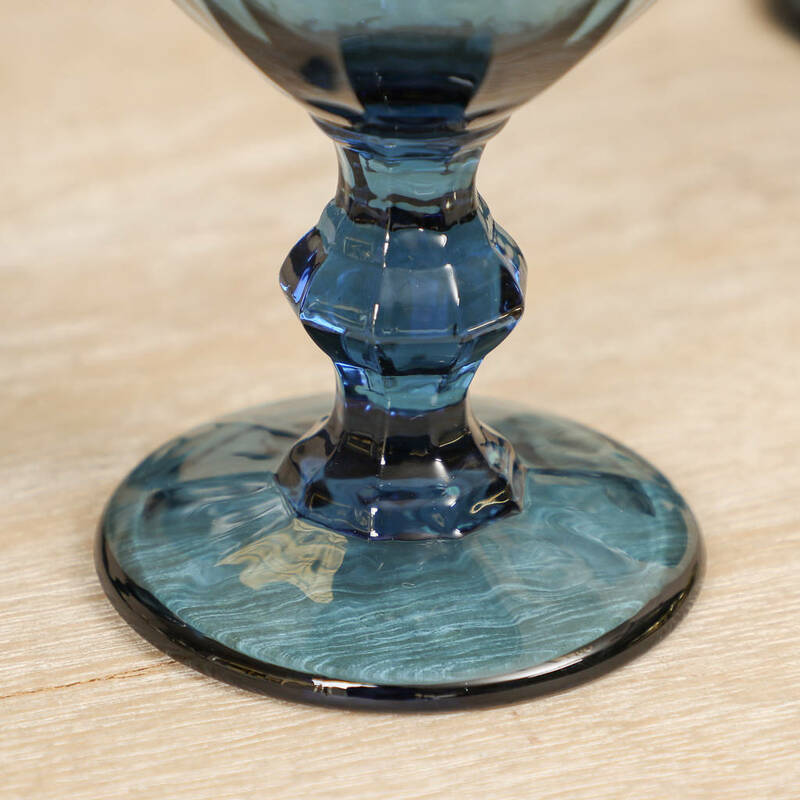 An exquisite reworking of the traditional wine glass design, this glassware bings a contemporary touch that's sure to impress guests. 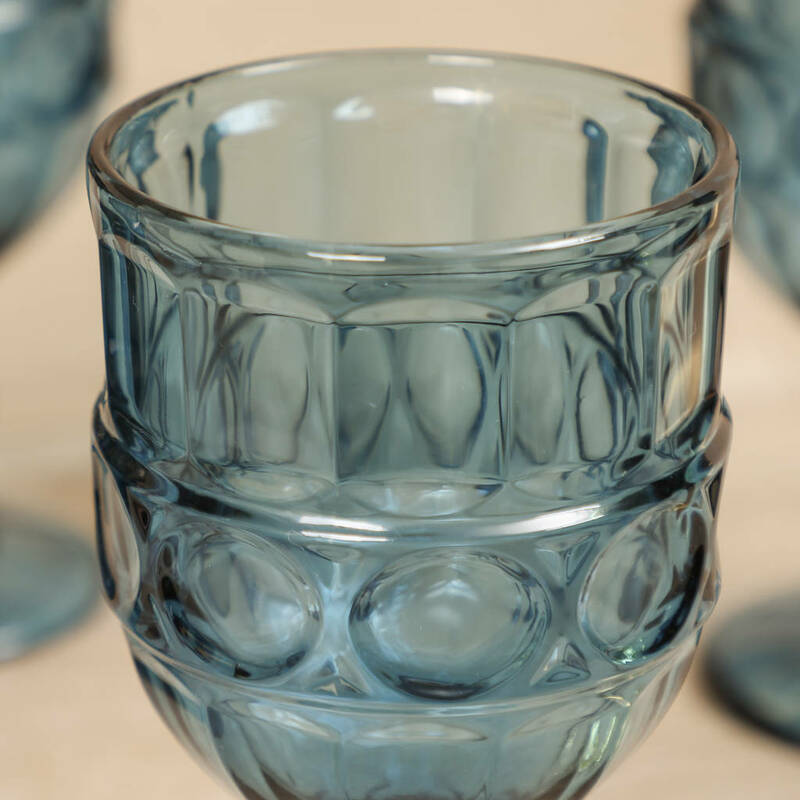 Complete with a diamond cut foot, these coloured glasses are ideal tableware accessories for a modern dining room. 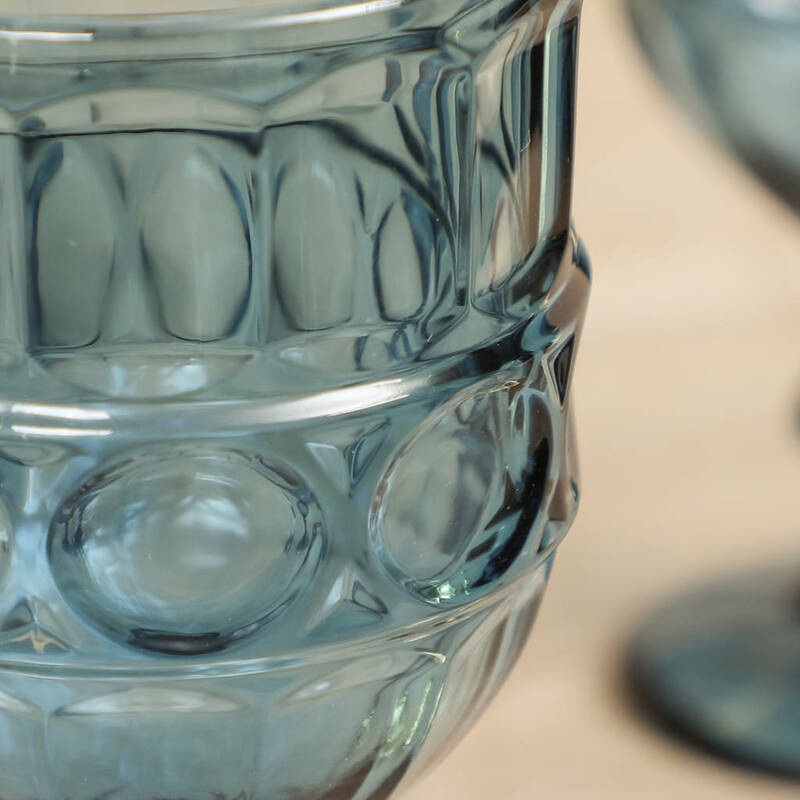 Just the thing to bring a pop of colour to a dinner party, serve your red and white wine in style with our unusual barware that's made to last for years to come. 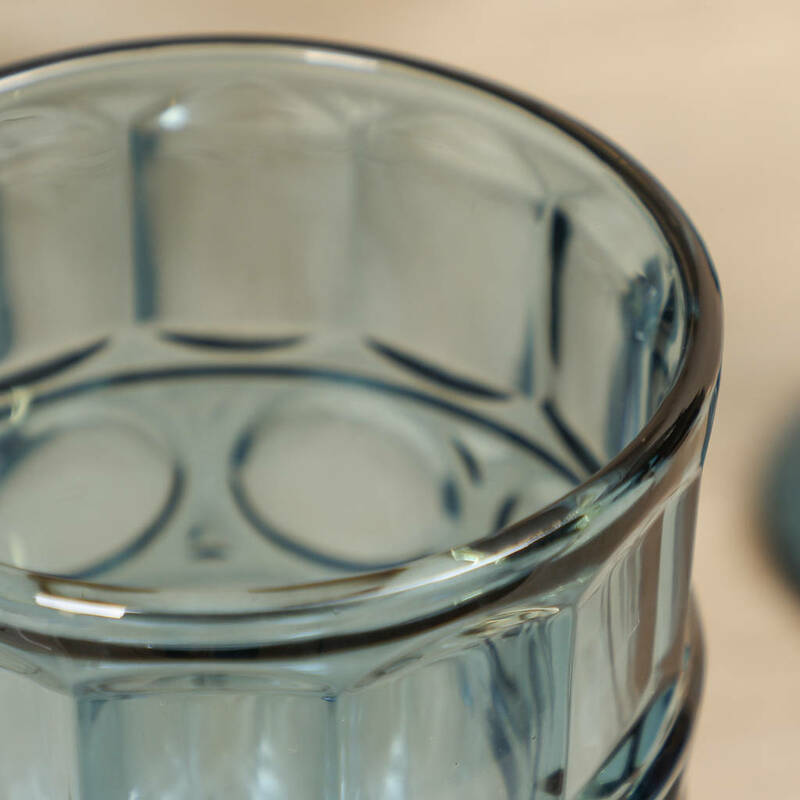 At Dibor, we pride ourselves on supplying only the best products for a truly stunning look. 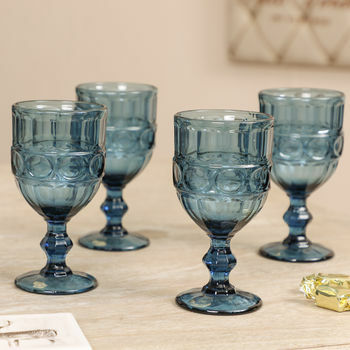 These goblets are crafted from high quality glass for a stunning result.